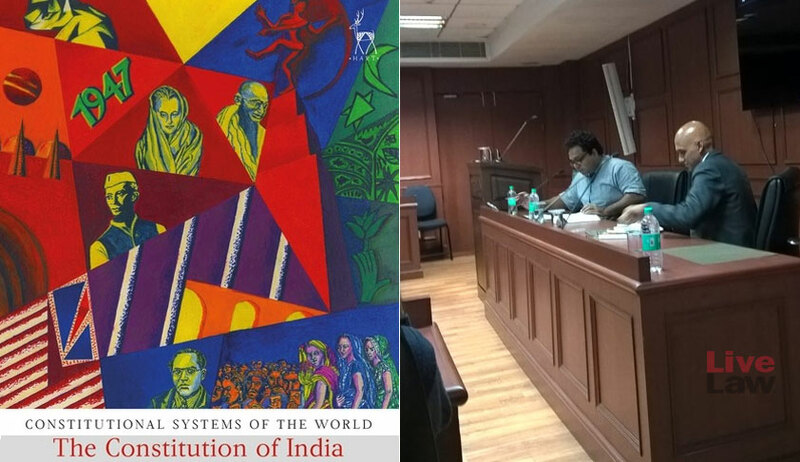 At a book-launch, held recently at the National Law University, New Delhi, the author of the new book, ‘The Constitution of India: A Contextual Analysis’ (Bloomsbury, 2018, Rs.299), Arun K. Thiruvengadam, who teaches at Azim Premji University, Bengaluru, emphasised the need to revisit framers’ assumptions, and reopen issues, which we had long taken for granted, as settled. Thiruvengadam said he has great respect for what the framers did, and his book would help the readers to get acquainted with their contributions, before thinking about which parts of their vision may need updating and reassessment. Thiruvengadam made the comment, while expressing his view that if we want minority groups to survive in India, we need to think about permanent solutions structurally, in terms of institutional reforms, and guarantee their cultural and religious rights in a meaningful sense. Thiruvengadam was responding to comments on his book, made earlier by Anup Surendranath, who teaches Constitutional Law at NLU, Delhi. Surendranath was of the view that the book helps one to understand the development of the Constitution, through the influence of socio-political factors, and historical development perspectives, rather than through laws and amendments. He said the book asks how much of these developments were foreseen by the framers. Drawing the attention to the book’s chapter on Constitutional Regulation of Multiple Identities, he said the book asks right questions about the treatment of Muslims in the Indian Constitution. He asked, keeping the contemporary trends in mind, whether the Muslims are increasingly becoming electorally irrelevant. Surendranath saw a divergence between the Supreme Court’s early engagement with the question of reservation and now, observing that the Court, of late, is demanding more and more empirical evidence to justify reservations in promotions. Surendranath drew attention to the book’s discussion on the Supreme Court’s current phase, and the author’s question, whether the Court could act as counterweight to a powerful executive. The author’s view is that the Court as a whole has been less willing to push back against the government and the legislature on issues where its own interests have not been at stake. According to him, this trend is consistent with earlier phases where the Supreme Court adopted quiescent positions to avoid ruffling feathers in strong executive governments. “Yet that is precisely what the Court was designed to do, should be doing, and will hopefully resume doing in the near future”, Thiruvengadam observes in his book. Earlier, well-known legal scholar, Professor Upendra Baxi observed that during the British rule, the approach of the colonial rulers was to divide and rule. Comparing it with the neo-colonialism of the current times, Baxi quipped that the rulers’ approach is still to divide, but to forget how to rule. Professor, M.P.Singh, who also spoke on the occasion, observed that common law is only imposed, not received. The panel on “Comparative Law and Justice in South and South East Asia: Methodological and Practical Challenges” also had a discussion on the book, “The Politics and Law of Democratic Transition: Caretaker Government in Bangladesh”, (Routledge, 2018), authored by academic, Sonia Zaman Khan. The two book launches were held as part of the series of academic sessions under the Winter School, on “Comparative Law in Global South: Methodological Challenges and Issues of Identity Formation”, held between January 10 and 17, organised by the National Law University, New Delhi, and Università degli studi della Campania “Luigi Vanvitelli” (Formerly Second University of Naples) at the NLU campus, New Delhi.